This one episode had a new product called First Defense Nasal Screens (tm). The best part about this product - it works! 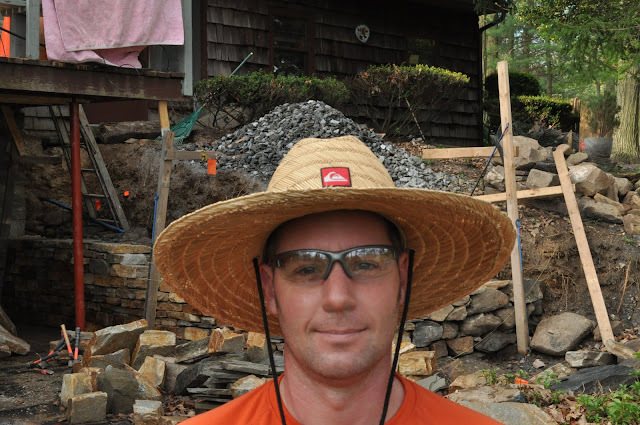 When I'm out all day moving stone, shaping stone, digging dirt.....DUST - DUST - DUST. Nothing that looks good at the end of the day when I have to blow my nose. To sum it up I love the idea of protecting my lungs and health. But not at the cost of wearing a face mask which I have to feel like I'm suffocating in. Dust masks also cause my glasses to fog up and make me feel hot. I just hate them. Only in extreme situations will I wear a real dust mask or filter system. For example cutting stone with a gas saw. 4/19/11 Monday I tried my first pair of Nasal Screens from Filter Your Life. I have to say I liked them. Cons - a little challenging when you have to eat - breathing and swallowing, if you have a runny nose fluids can filter throw- but if you have to blow your nose or just the runny nose from cold weather- they may loose there stick over time. Print/marketing material needs a make-over to say the least. Pros - smart solution to your health at affordable price. Not only are these great they claim to be 99% effective on almost all air board allergens. They are not obstructive. They are visibly attractive compared to the alternatives. Easy to use. At the end of the day when I pulled them off to blow my nose- I had nothing but clear fluids with NO DUST! A+ by my testing. I could keep going - You be the judge! Today was about 80 degrees. I have really enjoyed the nasal screens they do work. The problems I had today was sticking to my nose. With fluids building up the stick on the product just doesn't hold up. I had to go through 2 pairs today-after the second pair I went the remainder of the day with out them. They need to make a "Active" version with STRONGER Adhesive. I used the first defense again. I found about half way through the day they fell off. In a 8 hour day if your doing hard work expect to have to replace them. With fluids building up- they don't hold as well as they should! The product does the job - they just don't hold up to a hard day of work. If they had a more aggressive adhesive they just might hold up longer. 2/2014 Update: I'm currently testing a few new products I'll be blogging about soon. I still love this product the biggest issue I still have is that if you have a runny nose normally by 4 hours the product looses its stickiness and come off your nose. I will add a link to my future blog post to come. 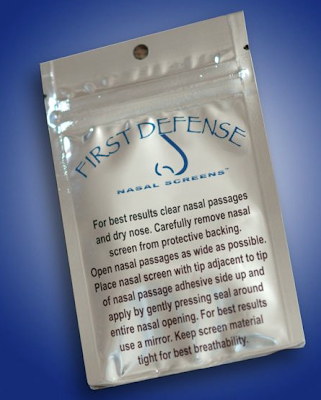 Are you still using the Nasal First defence screens ? ?